DUP Leader Arlene Foster has called for fundamental changeto the Good Friday Agreement to facilitate Brexit. In other words an agreement endorsed by the majority of people north and south must make way for Brexit, a proposition rejected by a majority in the north. The latest position of the DUP leader lays bare the root of thecrisis in the north. Remember, the DUP opposed the Good Friday Agreement, campaigned for a No vote in that historic referendum and they continue to oppose the Agreement. An Agreement that has underpinned peace for over two decades. They oppose the all Ireland nature of the Agreement, they oppose the rights and safeguards of the agreement and they oppose power-sharing. The institutions in the north could no-longer bear the weight of this contradiction and collapsed. This was brought to ahead by the continual refusal to implement agreements, opposition to marriage equality, rights to an inquest, an Irish language Act and the financial scandal that is the RHI Cash for Ash scheme. Add to the mix a British Government that has no understanding of Ireland, our economy or our agreements. The Tories are at war with themselves over Brexit and seem intent to bring their own country down with them. This same Tory Government entered into a toxic deal with the DUP to stay in power. That is why there are no institutions in the north, and why the DUP leadership walked away from the deal they had made with Sinn Féin in February this year to get the Assembly up and running. These latest comments by Arlene Foster are a desperate throw of the dice by an increasingly marginalised Unionist leadership. The deal with the Tories will end. Its only legacy will be Brexit. Meanwhile Ireland north and south is changing and a New Ireland is emerging. The joyous revolution of Marriage Equality and Repeal of the Eighth has resonated with a new generation in the north. The largest political demonstration in Belfast is Pride. A magnificent event that celebrates the diversity of identities that make up our communities. Similarly there is a growing demand for access to abortion services. 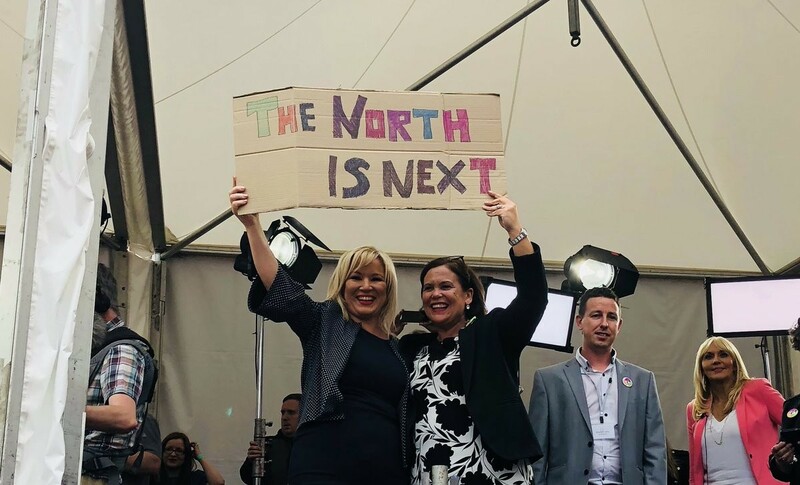 As a placard proudly announced in Dublin Castle when the Repeal result came through, “The North is Next”. Brexit has also unified those who voted to remain within the EU. Brexit will be a disaster for the economy in the north, particularly for agriculture. A community that values prosperity and access to the EU is looking beyond Brexit and Westminster and instead towards Irish Unity. We are facing into a politically challenging time. However it is one which we can and must navigate. The position of the Irish Government and the EU is critical. They must ensure that the British Government cannot renege on their agreement to protect the Good Friday Agreement in all its parts, in the Brexit process. As for Arlene Foster and the DUP - the game is up. If their leadership want the institutions in the north up and working then they must support real power sharing, respect, equality and the rights of others. 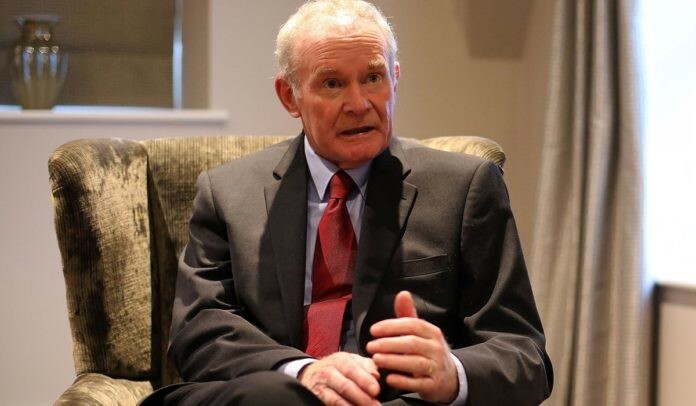 When this happens Sinn Féin will be a willing partner. Now is the time for political courage, to look forward in the interests of all communities. Meanwhile the debate on Irish unity and a unity referendum grows. 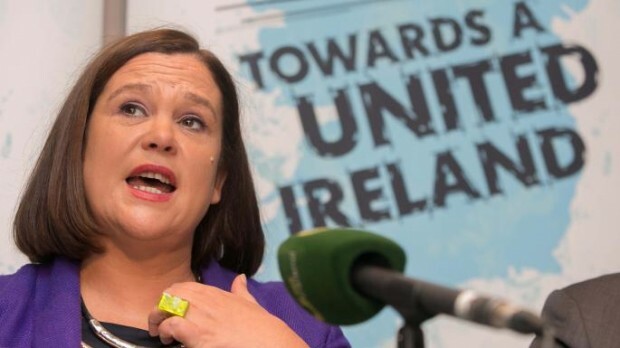 I am confident that we can build a New United Ireland, a home for all that share this island. That is the big challenge for our generation.